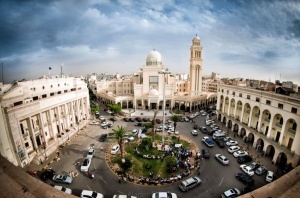 Highlights: Algeria Square and Martyrs Square. 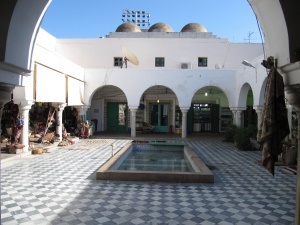 Walking tour in modern Tripoli including Algeria Square with its imposing mosque converted from a cathedral, and Martyrs Square, the hub of Tripoli. 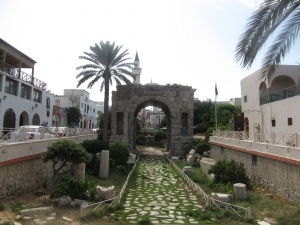 Highlights: National Museum and Tripoli old Town. 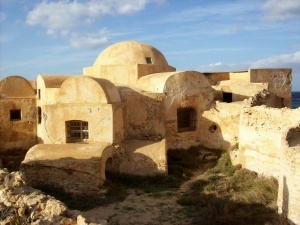 A full day sightseeing in Libya’ s capital city, known as the ”White Bride of the Mediterranean”. 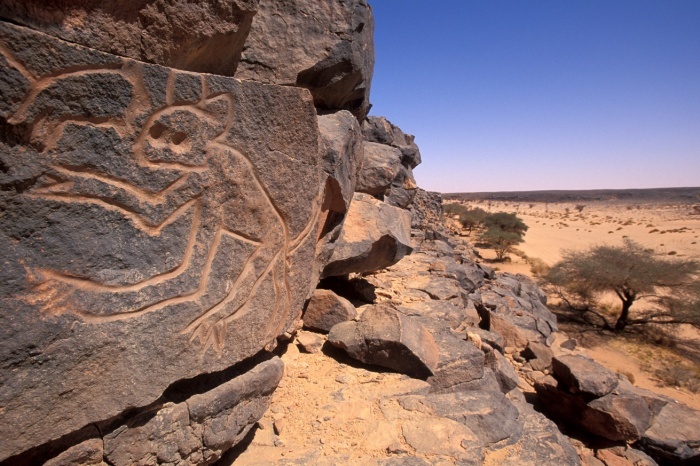 In the morning, we visit the wonderful National (Jamahiriya) Museum which includes one of the finest collections of statuary and mosaics in the world. 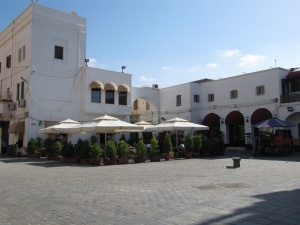 The walled old town of Tripoli encloses, arguably, the most charming medina in all of North Africa. After lunch in an old town restaurant, we”ll explore the warren of streets and alleyways, including the bustling souks, each devoted to a different trade, the historic house of the 18th century governor Karamanli, the Karamanli Mosque, the 16th century Dragut Mosque, burial place of the famous pirate of that name, the 19th century Gorgi Mosque, the 18th century former British Consulate, the former Turkish Prison, now a school, St. George’s Orthodox Church, the 19th century Ottoman clock tower and the sole surviving building of Roman Oea, the 2nd century Arch of Marcus Aurelius. 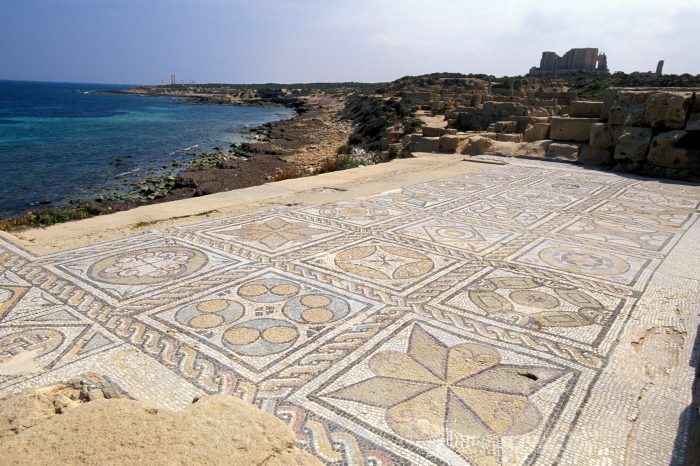 Highlights: Leptis Magna Theatre, Amphitheatre, Baths, Imperial Forum, Market and Villa Sileen. 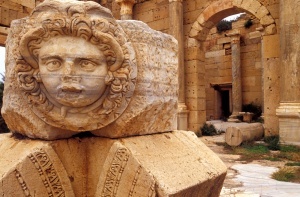 Full day excursion to the UNESCO World Heritage Site of Leptis Magna, the largest and best-preserved Roman city in the world that came to prominence in the 2nd century AD under its native son, the Emperor Septimus Severus. Following his reign, the city fell into decline until revived by the Emperor Justinian in the 5th century AD at which time it fell under Byzantine rule. The vast site is truly spectacular: the sites include the triumphal Arch of Septimus Severus, the Hadrianic Baths complex, the Palaestra (Athletics Ground), the Nymphaeum (Temple of Nymphs), the huge Imperial Forum, the Basilica, the Arches of Tiberius and Trajan, the Theatre with its beautiful backdrop against the Mediterranean Sea, the Sanctuary of the Divine Emperors, and the Market with its unique kiosks which, at the time of construction, were a groundbreaking design in the Roman world. In the eastern section of Leptis Magna we will see the Circus and enormous Amphitheatre with seating for over 15,000 spectators. 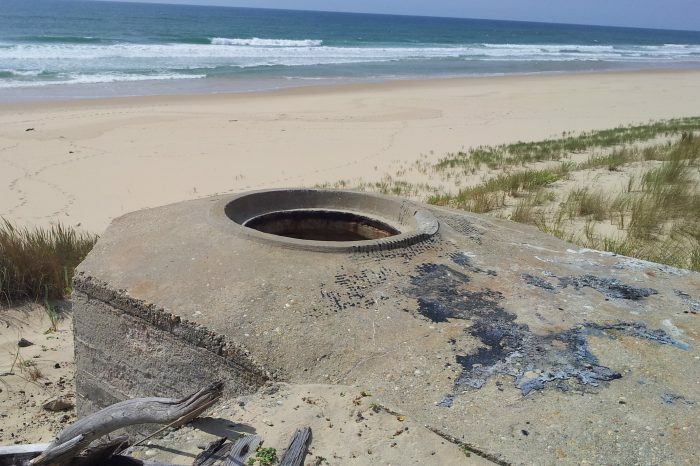 We will visit the vast arena, and see the gladiator’s anterooms and animal enclosures. En route back to Tripoli, if open a visit will be made to the 2nd century Villa Sileen, the home of a wealthy Byzantine that was discovered in 1974. The wall paintings portray scenes such as gladiatorial combat and chariot racing while the mosaics display river scenes that include sea nymphs, birds and animals. Last day for shopping and leisure until transfer to the airport. It is also possible extend your holiday and visit the UNESCO site Sabratha or you can book an extra excursion such as diving. 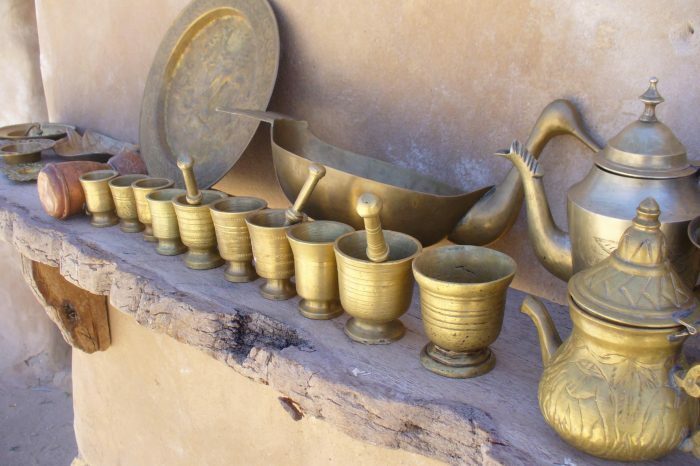 From Egypt to Tunisia is a wonderful tour.